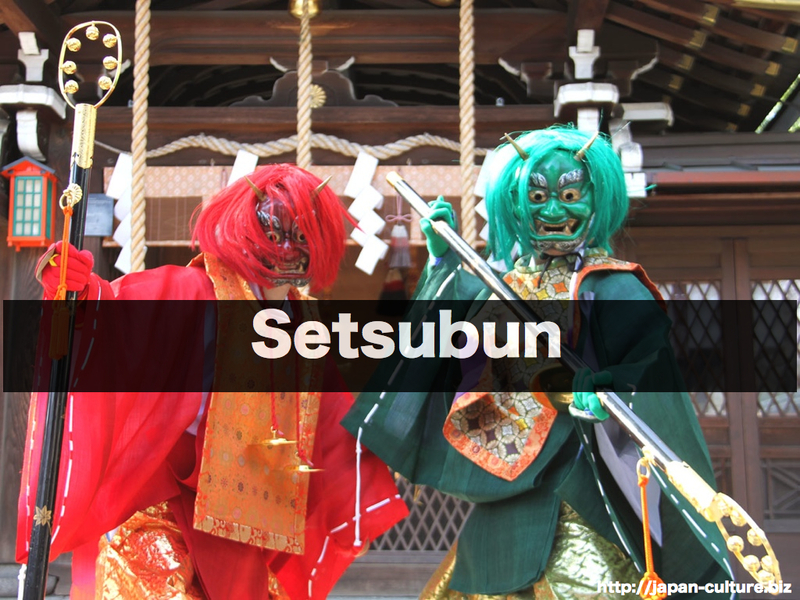 February 3rd is setsubun, which is also called Bean Throwing Day. This is the last day of winter in the traditional calendar. On this day, we throw roasted soybeans out of our front doors to drive out demons, and throw them into our house to invite good luck. 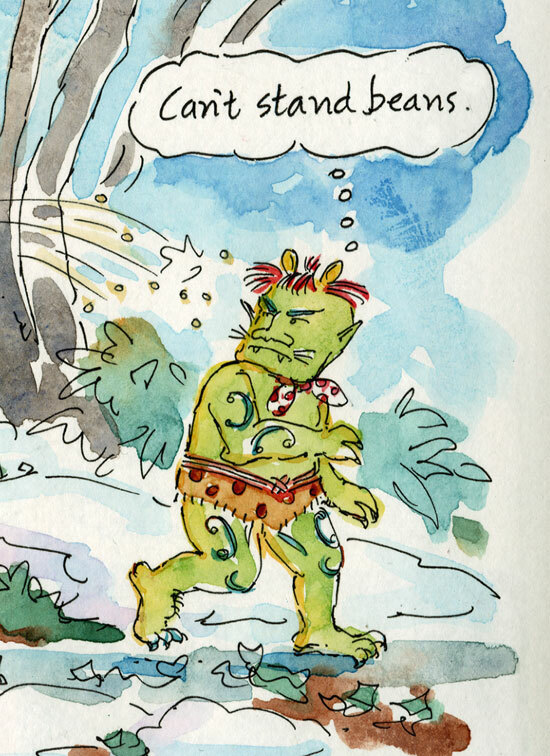 We also pick up the thrown beans and eat the same number as our own age. 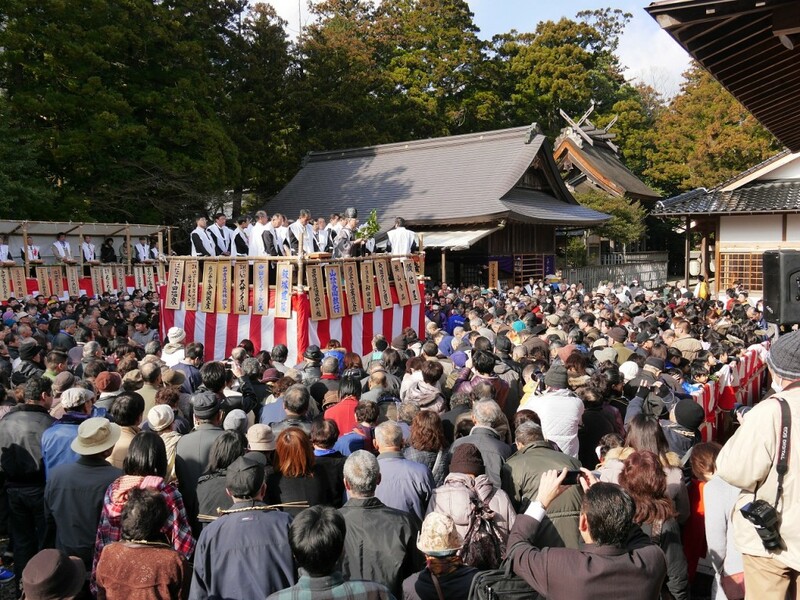 Some people go to shrines or temples holding setsubun events. Eating a large sushi roll is a popular custom for this day. We face a lucky direction and, wishing for good health, bite into the whole roll.